Saska's, a San Diego steakhouse staple since 1951, is bringing back their annual Polar Plunge to Mission Beach this year on New Year's Day. Get your swimsuit on and get ready to chill out to start 2018! 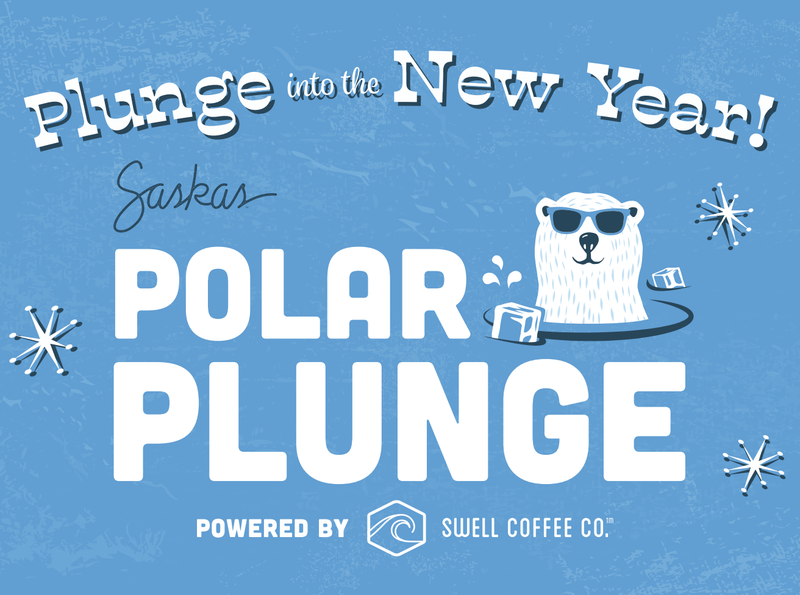 Get a thrill from the chill on New Year's Day 2018, as Saska's and Swell Coffee Co. team up to invite individuals to plunge into the Pacific Ocean in Mission Beach. Gather family, friends, teammates, and co-workers to start a Polar Plunge Team or join as an individual. Check-in begins at 9am inside Saska’s in Mission Beach. Plungers will then head to the water (from Redondo Court) to prepare for the chilly jump. Brave participates will begin plunging at 10:30am - be there early for the best viewing seat. 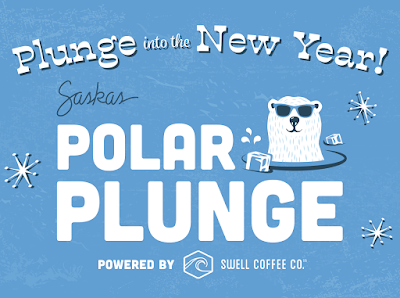 After the plunge, participants will receive a commemorative t-shirt and Swell Coffee (while supplies last) and are invited back to Saska’s for some fun. The rest of the day will consist of food and drink specials, discounts on subscription orders of Swell Coffee, a costume contest, raffles, and brunch offerings available until 2pm. Participants are encouraged to dress up in costume. Saska's is located at 3768 Mission Boulevard in Mission Beach. Visit saskas.com to learn more.